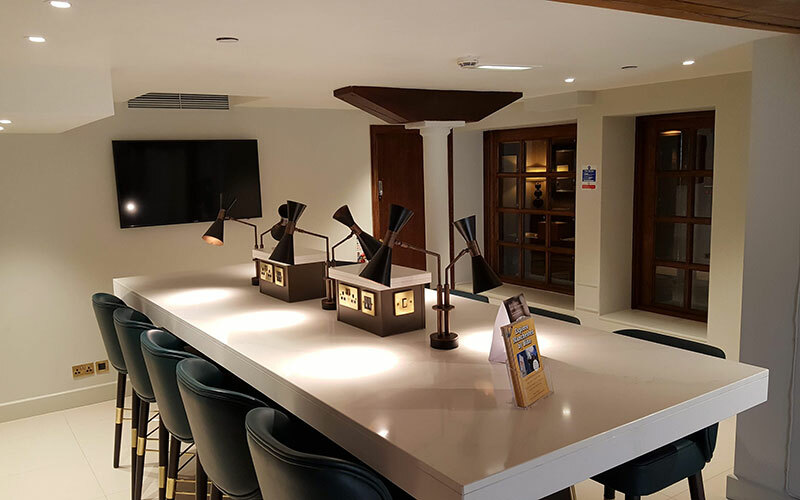 MC Construction has completed a revamp of the reception and business conference area at the Manchester Marriott Victoria & Albert Hotel. The £500,000 project creates a new welcome experience for guests at the 148-bedroom, four-star hotel in Spinningfields. 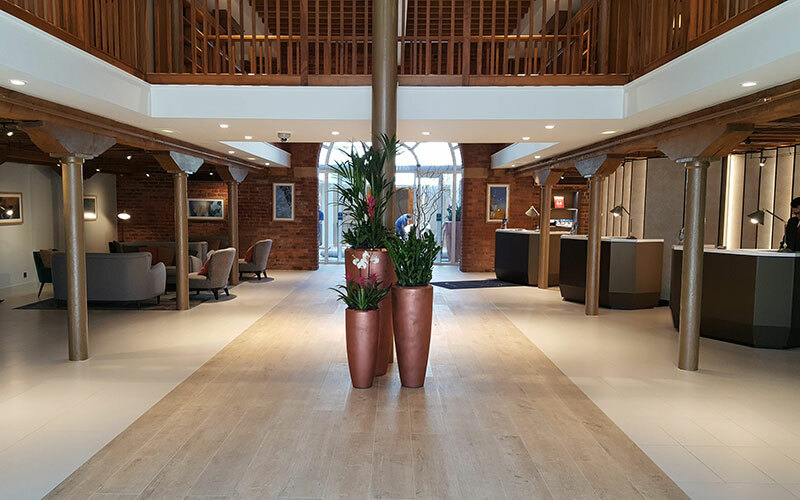 The scheme involved renovating the hotel reception, lobby, conference foyer and bar area to create an open-plan space, a more relaxing check-in environment and a ‘Power-Up Pod’ workspace with charging points for laptops and mobile phones. MC Construction was chosen as the contractor in a tendering process, partly because it makes a point of employing local people, which the V&A also does. The V&A, which lies on the banks of the River Irwell, is housed in Grade II listed buildings constructed in 1844 as warehouses. 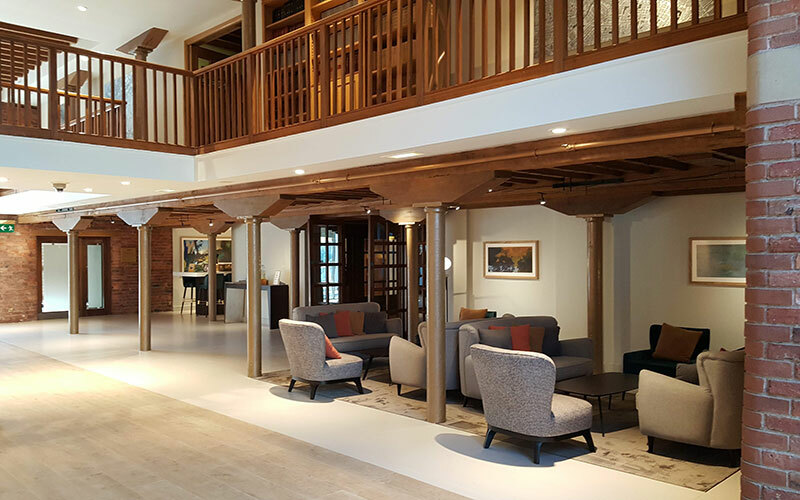 The exposed original brickwork, cast-iron columns and vintage wooden beams were retained as part of the upgrade. “Manchester is an ever-changing city – the opening of the nearby St John’s Quarter is close with three new residential blocks at the Slateyard also opening right across the river next year. “This means the requirements of the guests we welcome through our door are changing. At the V&A, we always want to be a hotel that is ready for the next few years, and so, with this refurbishment, we as a hotel are also changing so that we continue to meet their requirements. “The Manchester Marriott Victoria & Albert Hotel is a prestigious addition to our growing client base in the hospitality sector and it was great to be recognised in the selection process for our commitment to sourcing local labour. The architect for the scheme was 3D Reid, and SDA Consulting was the quantity surveyor and project manager.